The team of researchers behind a landmark study on predatory journals has now outlined the first concrete steps that stakeholders can take to combat the growing influence of these journals. Their pioneering work is published in Nature Human Behavior. Researchers need to be educated on how to identify predatory journals and avoid submitting work to these unscrupulous outlets. Research institutions need to provide incentives for their researchers to publish in legitimate journals. Funding agencies need to audit where research they are funding is being published and disincentivize further submissions to predatory journals. Patients and participants need to apply pressure to other stakeholders to ensure clinical studies are published in the best possible outlets; they can also help identify publications in predatory journals that support ‘fake’ science. “Predatory journals are corrupting science,” said Dr. David Moher, senior author of the paper. “Relevant policies and actions need to be taken by funders and institutions to fight them.” Dr. Moher is a senior scientist at The Ottawa Hospital and founder of the Hospital’s Centre for Journalology, which studies the science of publication. He is also a professor at the University of Ottawa. The Centre for Journalology is a world-leader in understanding the importance of helping researchers publish their results transparently and avoid predatory journals. 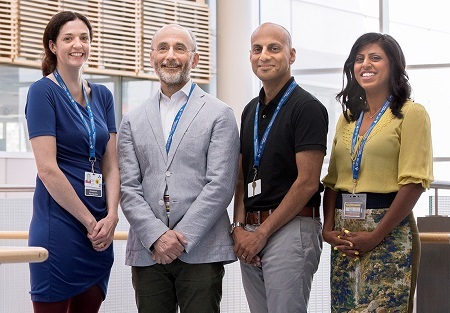 The Centre includes a full-time Publications Officer who provides training and consultations to researchers at The Ottawa Hospital. Full reference: “How stakeholders can respond to the rise of predatory journals” is published in the December 4, 2017 edition of Nature Human Behavior by Manoj Lalu, Larissa Shamseer, Kelly Cobey, and David Moher. Largely unknown a decade ago, illegitimate or predatory journal journals collectively publish more than 400,000 studies each year. These journals offer to rapidly publish research findings, at a lower cost than legitimate journals, but do not provide quality controls such as peer-review. Predatory journals are also difficult to search, meaning that health-care providers and researchers can rarely learn from the data in these journals. Recently, a landmark investigation from The Ottawa Hospital and the University of Ottawa, published in Nature, demonstrated that contrary to popular belief, a majority of papers in suspected biomedical predatory journals (57 percent) are from high or upper middle income countries, with many coming from prestigious institutions. In addition, tax-payer supported bodies such as the National Institutes of Health have funded a significant number of studies in these journals. Over 2 million patients participated and 8000 animals were used in the papers that were investigated.